Travel lighted magnifying mirrors can be a lifesaver when you are away from home. Here at My Health and Beauty we are always on the lookout for a mirror that can be used in any circumstance. The Zadro Lighted compact comes very close. Whilst small enough to fit in your handbag it also makes a great travel partner with its unique fold out system so you can use two mirrors at once and vary the halo lighting if you can’t see because the light level is low. The LEDTO1 can be held in the hand or sat on a flat surface while you make those last minute touchups. The generous mirror size of 3 1/2 inches or 9cm makes it a whole lot easier than the traditional compacts. When set in the upright position for maximum usage this travel lighted magnifying mirror stands 11 ½ inches or 29cm high. The duel mirror arrangement have a 10x and a 1x magnification allowing close up work or a quick glance overall. Of course this type of magnifying mirror may not suit everybody as some want a bigger size mirror, less magnification, do not need the lighting. If I may draw your attention to 4 other models in the travel line up. Our non-lighted MC229 model is double sided 7x and 1x magnification with a large 12.5cm diameter mirror on a fully adjustable stand. This 7x magnifying mirror has a gold and chrome finish folds down flat for travel and has its own black velvet travel pouch. The MC449 magnifying mirror is similar in many aspects and has the bigger 10x and 1x magnification folds down flat and has the black velvet pouch also. If you are looking for something that is nice and small does not need to be lighted and will fit in your handbag nicely then our MC310 should be perfect for you. It is a double sided beauty mirror and it does have a fully adjustable fold out chrome stand. The glass diameter on this mirror is just 7.5cm in diameter so it will even fit nicely in your purse. Feedback from customers on the Zadro power suction mirror has been excellent. Even to the point people buy them for their friends as presents. Put one on your mirror at home and it won’t take long for your whole family to be found looking in the mirror. In fact I take mine to the gym so I can go straight to work after the gym. It sticks to any surface and just a small twist on the knob and it comes off easy. Being a square acrylic it just has that look about that makes everybody want one. Single sided with 10x magnification – I do get people who want to see what it’s like when I put it on the mirror in the gym afterwards the comments are “I have to get one of those”. So that’s just a quick rap on our travel models, I hope you can use that information. Right now I am looking forward to the new wall mounted square rectangle lighted mirrors from Jerdon. These will be very practical and look great in those new modern bathrooms as square seems to be the latest rage. 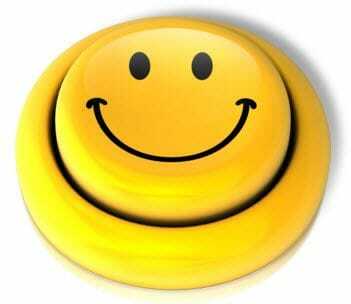 Its been a busy week say smile for now and I be in touch again soon.